Like any other planter upgrade, the 1st question that needs to be answered is how effective is your current down force system? Let’s start by examining how even the corn emerges from the ground. While there are many things that can affect emergence, consistent planting depth is one of the major variables. Thanks to today’s technologies and SureForce, achieving consistent planting depth is easily within your control. There are several university studies available that help determine what this issue may be costing your operation. While there are many more studies available like what is linked above, perhaps nothing is more effective than what you can do on your own farm, and with little effort and cost. Select a few rows and monitor them daily after planting. 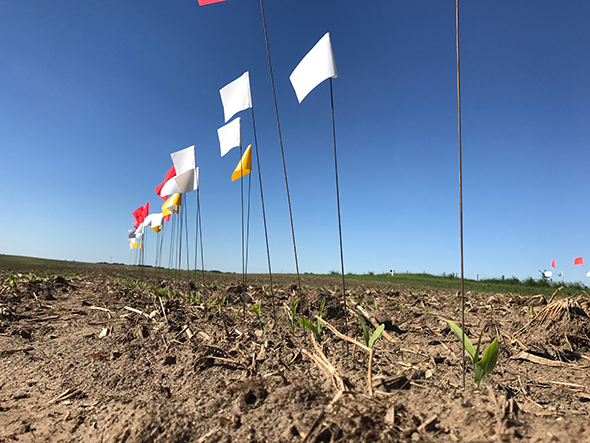 Once plants begin to emerge, place a colored flag at each plant that emerges day 1. Use a different color for day 2, day 3, and so on. Do this until all plants have emerged. Allow the plants to grow throughout the rest of the growing season without any special treatment. Prior to harvest, come back and hand harvest these ears. Note visual differences and weight differences to identify how uneven emergence affects yield on your farm. If your planter is already equipped with Ag Leader technology, monitoring your downforce may be easily and cost effectively within your grasp. Gauge wheel load sensors can be added to as many or as few rows as you wish. These sensors provide two very important pieces of information. Low gauge wheel load warnings indicate that depth loss is occurring, and seeds are being placed at a lesser depth than desired. They also indicate exactly how much load is being carried by the gauge wheels, which can be useful in identifying if the springs or airbags you’re using are applying too much additional down force. 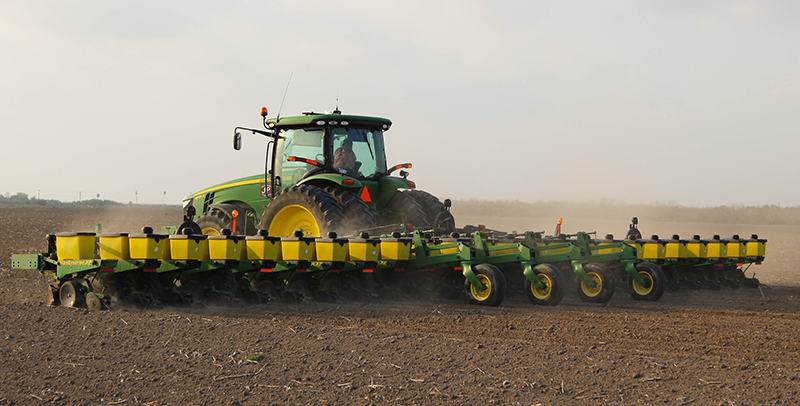 If you find yourself unable to select a spring or airbag setting that provides consistent depth AND eliminates areas of planter induced compaction, then SureForce may be just the tool you need to achieve even emergence and proper root development. Learn more about SureForce here.